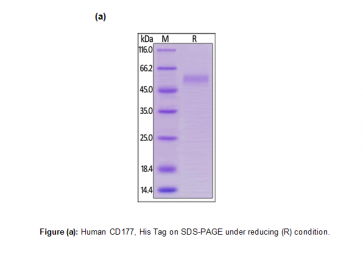 Human CellExp™ CD177, Human Recombinant | P1410 | BioVision, Inc. This protein carries a polyhistidine tag at the C-terminus. The protein has a calculated MW of 43.2 kDa. 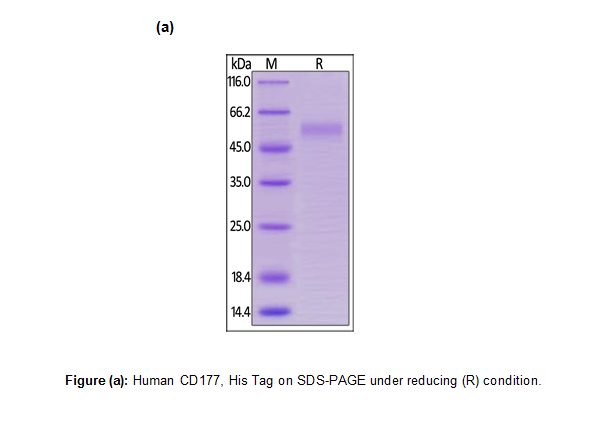 The protein migrates as 50-57 kDa under reducing (R) condition (SDS-PAGE) due to glycosylation. Reconstitute in sterile deionized water to the desired protein concentration. CD antigen CD177 is also known as Polycythemia rubra vera protein 1 (PRV-1), Human neutrophil alloantigen 2a, NB1 glycoprotein, is a glycosyl-phosphatidylinositol (GPI)-linked N-glycosylated cell surface glycoprotein. CD177 contains two UPAR/Ly6 domains. 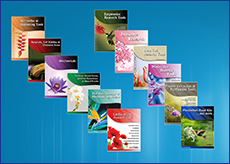 CD177 is highly expressed in normal bone marrow and weakly expressed in fetal liver. PECAM-1 is a binding partner of CD177.